March is an amazing time for basketball fans when exiting matchups, buzzer-beaters, and improbable Cinderella teams knock off the heavyweights. It’s also a time to see many different approaches to coaching, which I find interesting because I’ve always been a student of leadership. 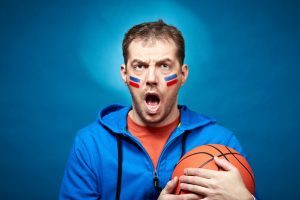 There are many leaders on a basketball team but the coach plays the pivotal role and different leadership styles often produce different results–I don’t mean in strict terms of wins and losses necessarily, but how each coach influences their players and the resulting relationships between the two. There are lessons in basketball we can use in our own organizations. There are two general types of coaches: The first type I will call Coach Cool. Coach Cool is mostly composed; rarely resorts to fits of rage or anger at officials, players, or opposing teams; and when a player makes a mistake and gets pulled from the game, Coach Cool talks directly to them, reinforces what must be done next time, and gives an encouraging swat on the behind. Contrasting Coach Cool is Coach Mad. Coach Mad nearly always appears angry and on the verge of throwing something onto the court. He is not opposed to berating and demeaning his players (or anyone else on the court) publicly and when a player screws up a play, he yanks them from the game and continues his tirade mercilessly until another player or official gives him reason to shift focus and attention. Both styles can produce wins, but Coach Cool’s approach is far more constructive, supportive, and endearing than Coach Mad’s. Coaches and leaders often must be tough, but anger and contempt only demoralize teams and individuals, limiting their effectiveness long-term. Conversely, those who love their teams and create a constructive environment where failure and mistakes are a natural and acceptable part of improvement win in the end. Enjoy lots of great basketball and leadership lessons this month and good luck with your bracket. Casey Jones, CAPP, is vice president with TimHaahs.